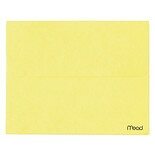 Shop Mead Brite Wallets Letter Size Expansion File Envelope (1 ea. )1 ea. 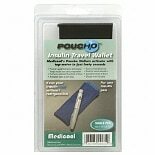 Shop Poucho Insulin Travel Wallet (1 ea. )1 ea. Keep your money, credit cards, and other important materials organized with specially designed wallets. Choose a wallet based on the features you need. Some wallets feature an empty interior, allowing you to decide how to arrange and organize your money and cards. Stylish designs make these wallets appealing. 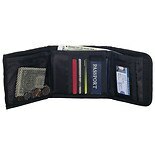 Other wallets contain multiple interior pockets to make organization easier. Pocket-sized aluminum wallets have pockets the size of credit cards, with the pockets arranged like an accordion. These billfolds come in a variety of colors, such as red, black, blue, and silver, to suit individual tastes. Because they are water resistant and made from sturdy materials, these aluminum wallets are ideal for active individuals who want to keep their money safe and secure. 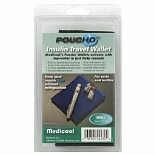 Insulin wallets are designed with the needs of diabetics in mind. 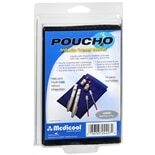 These organizers are designed to keep your insulin cool and to hold all of your diabetes supplies. 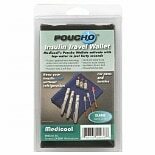 Because these wallets come in a variety of sizes, you can choose the size that will hold all of your insulin and supplies. 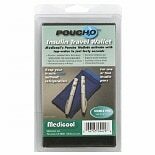 These insulin wallets are ideal for travel because they do not require refrigeration to keep the insulin cold. Keep important paper documents safe and protected with expansion file wallets. 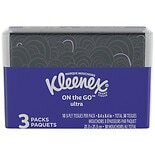 These wallets are ideal for business presentations and for organizing tax documents. If you collect DVDs and CDs, you can organize your collection with CD/DVD wallets. For your home collection, choose a DVD organizer with a large capacity. Smaller wallets would be ideal for traveling.